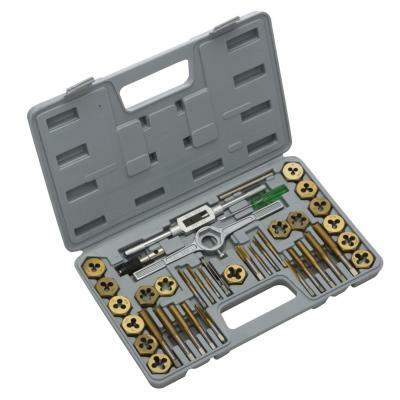 00912A Neiko 40 pc Titanium Coated Tap & Hexagon Die Set Metric Sizes: 3 mm x 0.5 to 12 mm x 1.75 . 17 pcs tap and 17 pcs die. 3 tap wrenches . Protective storage case . professional quality.